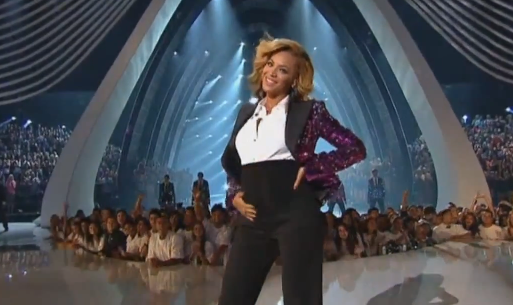 Last night at the MTV Video Music Awards, Beyonce revealed that she was 5 months pregnant, flashing her baby bump on the red carpet, then again onstage. It looks like a lot of people must not have watched the red carpet though because a record number of Tweets per second shared on Twitter was hit right around the time that she finished up performing. Last night at 10:35pm ET, Beyonce’s big MTV #VMA moment gave Twitter a record bump: 8,868 Tweets per second. The Japanese World Cup match between Japan and Denmark set a record of 3,283 back in july of last year but Twitter has been growing by leaps and bounds lately and has reached a record number of Tweets per second several times since New Year’s Eve, where it hit 6,939 per second. The most recent record was the high of 7,196 during the closing shots of the U.S. Women’s Soccer World Cup final match. Another recent sign of Twitter’s growth is the spike in traffic that it received during the London riots where it was used by rioters and cleanup crews alike to coordinate both mayhem and kindness. Twitter is quickly becoming an indispensable tool that we use to communicate during important events and was recently even recommended as a better way to do so during a disaster by the US Government.